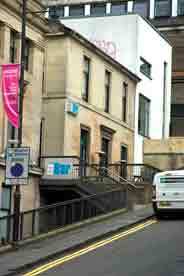 5 Scott Street, Glasgow. 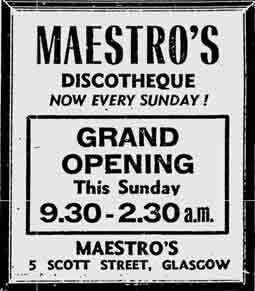 off Sauchiehall Street. 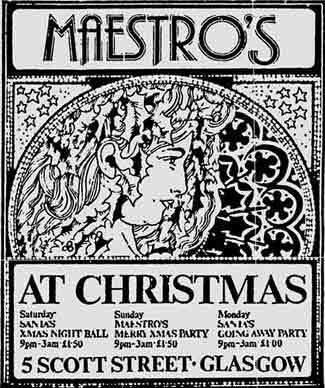 This was a favourite night club during the 1980s and 90’s owned by John Quigley. 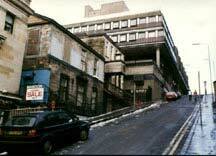 It was a nightmare getting up this hill during winter evenings, it wasn’t to bad leaving the premises as you would just slide downhill into Sauchiehall street when you had a bit to much to drink. In the 1970s this was once the well-known Maryland Nightclub. 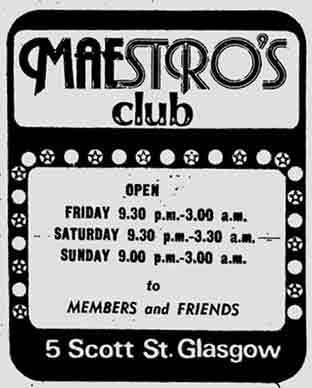 Once known as Maestros now called CCA patio bar. 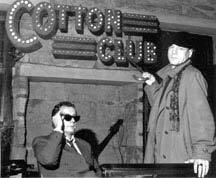 The once famous Cotton Club is now closed and a new bar called CCA now stands in its place. Mystery Blaze Wrecks Dance Club. 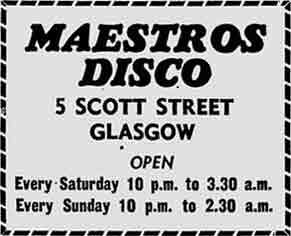 Firemen battled for seven hours with a blaze in Glasgow’s Maryland Dance Club, Scott Street, at Sauchiehall Street, early today. As firemen fought the blaze from turntable ladders, Sauchiehall Street was closed to traffic. The alarm was raised just after midnight when the fire broke out in the attic above the club. At the height of the blaze, flames rose 100ft in the air and it was not until 8.0 a.m. that the firemen were in control. The dancing area of the club and most of the furnishings were destroyed by smoke and water. A Fire Brigade spokesman said later that the cause of the fire was unknown. “Fortunately the club was not open last night,” he said. 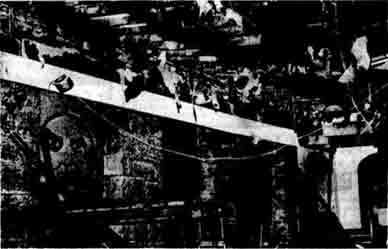 Interior of the Maryland after the fire. 1971.